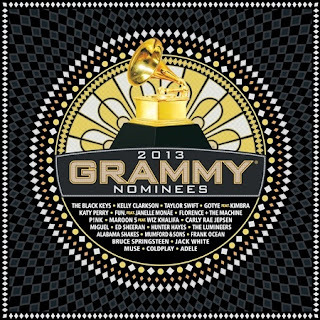 Capitol Records, through PolyEast Records, will release the 2013 GRAMMY Nominees album. Now available in the market which features 22 critically-acclaimed smash hits from a myriad of chart-topping artists from various genres for only P455. The 19th edition of the best-selling collection includes many of the most widely recognized GRAMMY categories representing nominees for Record Of The Year, Album Of The Year, Song Of The Year, Best New Artist, Best Pop Solo Performance, Best Pop Vocal Album, Best Rock Performance, Best Rock Song, and Best Rock Album. 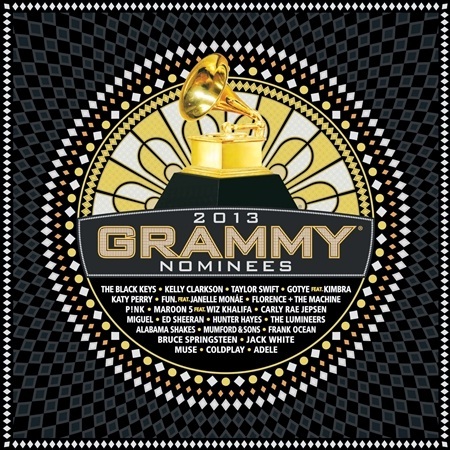 In time for the upcoming 55th Annual GRAMMY Awards to be staged in LA on February 11, the album features big hits from artists like Coldplay, Katy Perry, Adele, Bruce Springsteen, Muse, Maroon 5 feat Wiz Khalifa, Kelly Clarkson, Taylor Swift, Jack White, Pink, Gotye feat Kimbra, FUN feat Janelle Monae, Florence + The Machine, Carly Rae Jepsen, Ed Sheeran, Mumford and Sons, Frank Ocean. The album is made possible by a special arrangement with all of the major music distribution companies and rotates labels from year to year. A portion of the proceeds from the album benefit the MusiCares Foundation and the GRAMMY Foundation— two charitable organizations established by The Recording Academy.